Two years ago, a movie-threaded narrative plotted all possible outcomes of my journey East, with colorful scenarios rolled from a red carpet unwelcome mat. 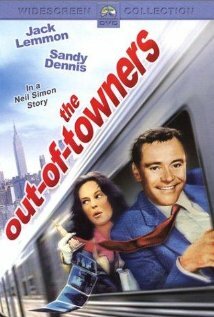 Speaking of the cinema, Jack Lemmon and Sandi Dennis delivered star-rated performances in the Out of Towners, 1970. If any film had me in stitches from start to finish, it was this classic. Every calamity these poor tourists endured after setting out from Ohio to the Big Apple, was a replay of my living, breathing experiences as a native New Yorker. Of note: being followed by a psycho on my way to work as I briskly walked the Central Park route. Mace carefully tucked into my shirt pocket was worthless buried under layers of clothing during winter blitzes. Who knows? I would probably have turned the weapon on myself in a frenzied state. Same high intensity alert during my walk from the West 50th Street subway station at dawn to the High School of Performing Arts on West 46th. I’d step over a few foaming-at-the-mouth panhandlers, as I grabbed a donut and some coconut juice on a corner plagued the night before with pimps. The Times Square area was not what it is today, an upscale, spiffy, media-sizzling hub. In the old days, I compulsively looked over my shoulder, sensing trouble in time to avoid it. But calamity control was out the door when I entered a New York City taxi. Those crosstown rides seemed like my last. Encapsulated in a missile of death, weaving in and out of traffic lanes, I said my prayers and planned my funeral. Having reached my destination minus a stretcher, I tipped the cabbie and kissed the ground. In the Big Apple you basically tip all the time, no matter what kind of service you receive. It’s built into the culture. If a taxi driver nicks a few pedestrians, runs a few red lights, and shakes your booty with reckless turns, you reward him for his death-defying efforts, even if you barf upon exit. When a waitress pours hot coffee down your back or drops off a plate with rotten eggs and soggy toast, you still tip her. You don’t even think twice. It’s programmed in since early childhood. My father shelled out a few coins after I barely survived MSG-induced respiratory failure at the neighborhood Shanghai. He was a blue-collar worker and felt compelled to tip with his eyes closed. New York City in autumn should be delightful. It’s an uplifting interval between a sizzling summer and biting winter. I’ll enjoy a few walks along Riverside Drive minus my mace, and a handful of subway rides for good measure. I’m told the trains have been cleaned up since I rode them decades ago, and the West Side has been cosmetically transformed into an upscale area known for its variety of ethnic restaurants. I remember savoring cherry soup at a favorite W. 80’s Hungarian stop-off that was within easy reach of Zabar’s, a gourmet deli where, if you didn’t shove a few customers out of your way to get to the cashier, you’d be trampled. I’m up for a rope-a-dope workout with my defenses in high gear. I’ve always lived defensively especially when I inhabited a small apartment in the “Berkeley” on W. 74th, corner of Amsterdam. It was my first gesture of independence after I graduated Oberlin, the “Learning and Labor school,” where hot coffee was once poured down my back by a student earning off her tuition. 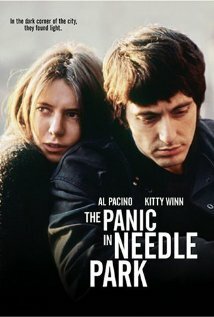 My studio, packed tightly with a Steinway grand, overlooked Needle Park, the locale of Pacino’s flick, Panic in Needle Park, 1971, that afforded a pleasing view if you didn’t look too closely through branches that hid park benches. The movie will surely be a memory refresher. I can’t easily forget the night when I was awakened to billows of smoke pouring into my pad through cracks in the front door. My first reaction was to beat it out of the place before it was too late. But being a tried and true New Yorker, I’d installed a police lock that was a powerful barricade to intruders, while it “barred” my easy escape. New Yorkers are sometimes living paradoxes. I’ll definitely feel like an out-of-towner once I exit the plane at Newark airport tomorrow night. My brother will pick me up and drive me to the tip of Manhattan where my 97-year old mother lives. She warned me about two mice scrambling by the other day that were too cute to trap. We all careened down narrow exits as if our lives depended on it. My visit to New York should be action-packed. This time I’ll carry my digital camera instead of pepper spray, to capture the high points of my trip. Stay tuned for a blow-by-blow description. Well at Newark Airport you’re a half hour from me, but this is no vacation with concerts lined up. And in NYC you’d have to be my bodyguard. I need more exercise so I can run fast again. I forgot to weave in the Bodyguard movie.. Where did that one take place?.. not NYC for sure.